I recently stumbled across Oh Lucy!, a movie that bounces back and forth between Tokyo and southern California, which sounded familiar...and I loved it. I had no idea what to expect beyond what I saw in the trailer and beyond my love of Japan and Japanese culture. The story is fresh, surprising, poignant...just lovely, beautifully written by first time feature writer/director Atsuko Harayanagi. Josh Harnett is terrific, and Shinobu Terajima and Kaho Minami should win awards for their sometimes hilarious, sometimes heart rending portrayal of estranged sisters. Koji Yakusho (remember Tampopo? That's him) is always a pleasure, even in a small role, and relative newcomer Shioli Kutsuna (now in Dead Pool 2) is going to be a star. You don't have to love Japan to love this movie (though it won't hurt, either)--it's just a beautiful human story for anyone. Highly recommended. Being an easy sell for stories involving Japan, I also recently watched The Outsider, with Jared Leto playing an American inducted into a yakuza family in post-war Japan. This one I can't recommend. Despite some solid performances that rose above the material (Tadanobu Asanobu, who you might know from the various Thor movies, and Shioli Kutsuna again) and good cinematography, the story was cliched, contradictory, and incoherent; the protagonist a dull cipher. Too bad, too, because Jared Leto is a talented actor, and could have done a lot had this smart premise been better written. 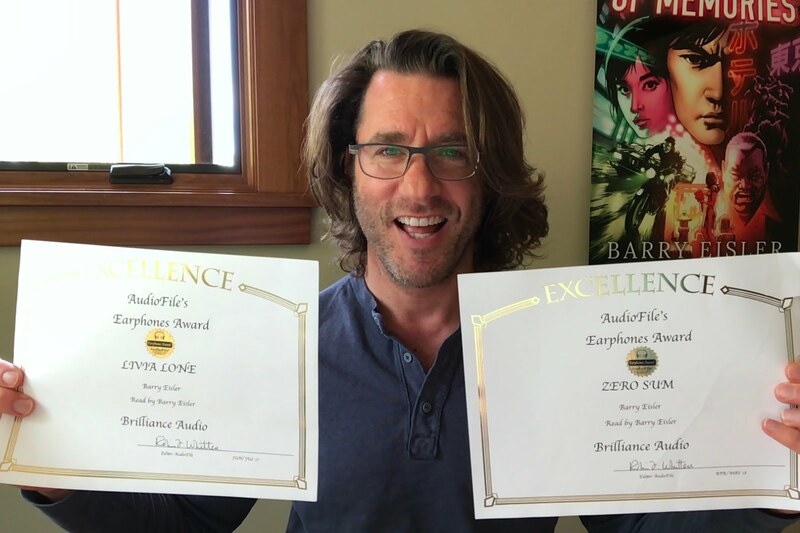 My second Earphones Award--this one for Zero Sum. Thanks AudioFile Magazine, I love narrating the audiobooks! I’ve been reading Marc MacYoung since 1989, when I stumbled across his first book—Cheap Shots, Ambushes, and Other Lessons—in a Paladin Press catalogue. I was a Career Trainee the CIA at the time, and MacYoung’s emphasis on thinking like the opposition, situational awareness, and various stages of alertness all tracked perfectly with Agency counter-terror training. I’ve been playing around with martial arts since I was about 15, but I’d never come across a civilian instructor who even touched on this stuff, let alone knew it at least as well as the paramilitary instructors at CIA. Suffice it to say, I was hooked. And I still am. 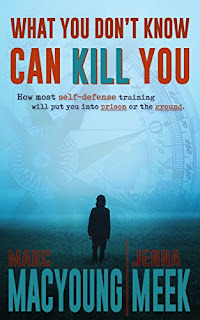 MacYoung’s latest—What You Don't Know Can Kill You—co-written with firearms instructor Jenna Meek, is essential reading for anyone who recognizes that your problems might be far from over after you’ve physically defended yourself. 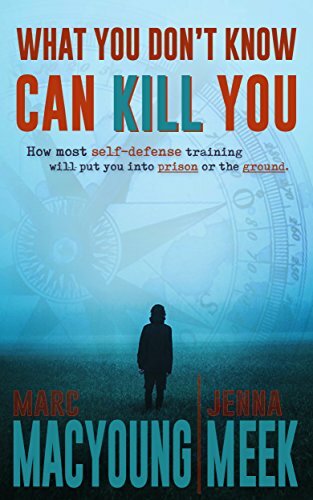 “Self-defense” is a tricky and surprisingly poorly understood legal concept, and MacYoung and Meek deal with it crisply and clearly, with plenty of case studies and hypotheticals. The book is a fast read, and having just finished it, I feel I have a much more solid idea of how, where, and why doing too much to defend yourself can be as dangerous as doing too little. I should add that in the course of addressing the ins and outs of legal self-defense claims, and how getting them wrong can put you in prison or in the ground, the authors have also managed to put together a good primer on different types of violence (social, asocial resource predators, asocial process predators) and on various cost-effective counters. If you’ve invested significant time and money in self-defense training, whether empty-handed or with weapons, I’d strongly recommend that you spend a few more bucks and a few more hours reading this book. Any self-defense system that doesn’t integrate the concepts MacYoung and Meek cover will be dangerously incomplete. It would be a shame to figure that out when it’s too late—especially when you have the opportunity to figure it out so easily right now. 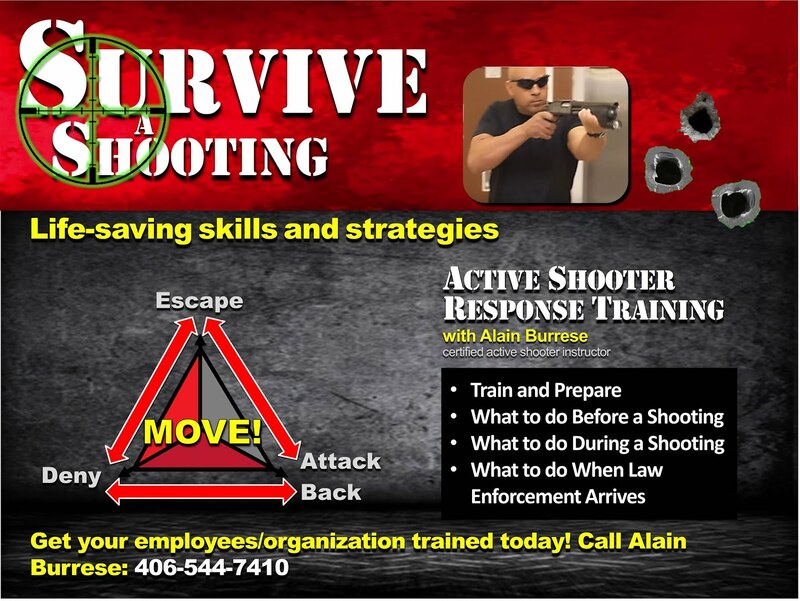 Also recommended: Survive a Shooting, by Alain Burrese. I got to read a pre-release copy recently and the book is comprehensive, practical, and well organized. It goes without saying that it's a terrible shame that a book like Survive a Shooting is needed, but the need obviously exists, and I'm glad Burrese has addressed it. 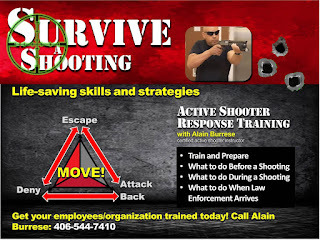 Bonus: while covering the specific topic, Burrese also offers smart, cost-effective strategies that will help keep you safer in the world generally.